Rio 2016 Olympian Mahama Cho is back on top of the podium after delivering GB Taekwondo’s latest gold medal-winning performance. 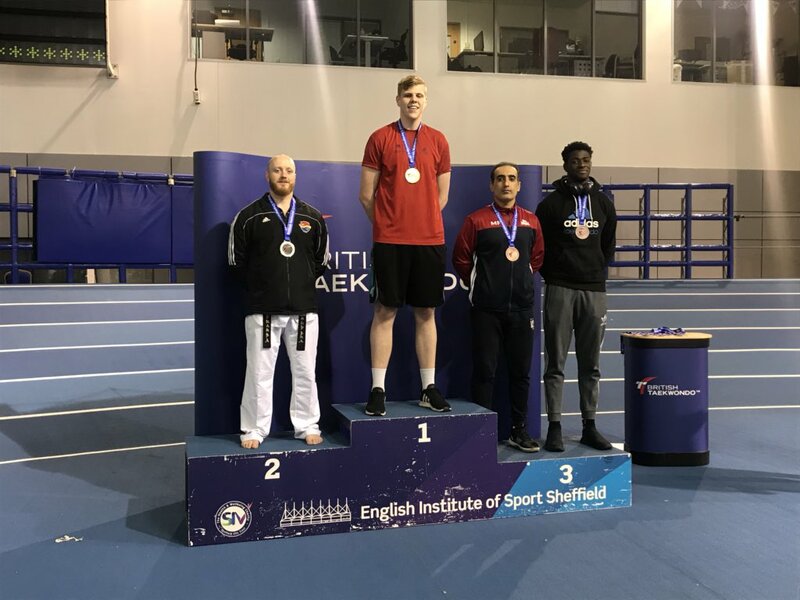 And it was a heavyweight double for GB Taekwondo with Cho’s teammate and training partner, Jack Spall, winning the National Championship +87kg title in Sheffield. 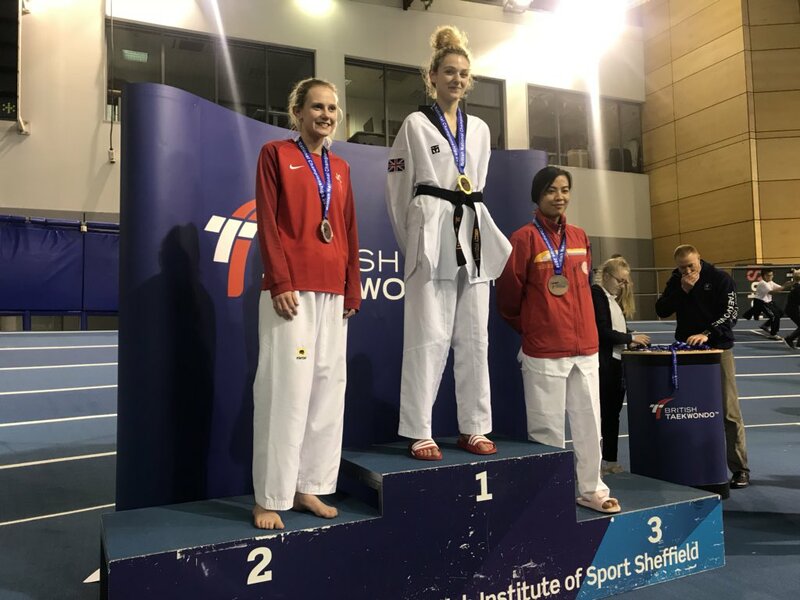 Londoner Cho missed out on a medal at the recent World Taekwondo Grand Prix in Manchester as GB athletes topped the medal table ahead of South Korea and China. This time there was no mistake, topping off his success at the Belgrade Open in Serbia with a 6-4 final win over Macedonia’s Dejan Georgievski. “He is a young, talented athlete who just keeps coming at you,” said Cho. “The score was quite even all the way through but I always thought I could pull away from him with a better strategy. “I am happy because I feel like I am getting back to where I should be. Overall the tournament was a good boost but I still feel I can get better. “When you have been out for such a long time you need more test matches and more competitions. I want to fight the best in the world and beat the best in the world. At the same competition, junior world champion Jordyn Smith secured a bronze medal, after losing 2-0 to Ukraine ’Iryna Romoldanova in the -46kg semi-final. Liverpool’s Josh Calland reached the last 16 of the -68kg weight division before bowing out to Croatian Marko Golubic. There was defeat for Scotland’s Hassan Haider, beaten 26-9 by Aituar Shaikenov of Kazakhstan. 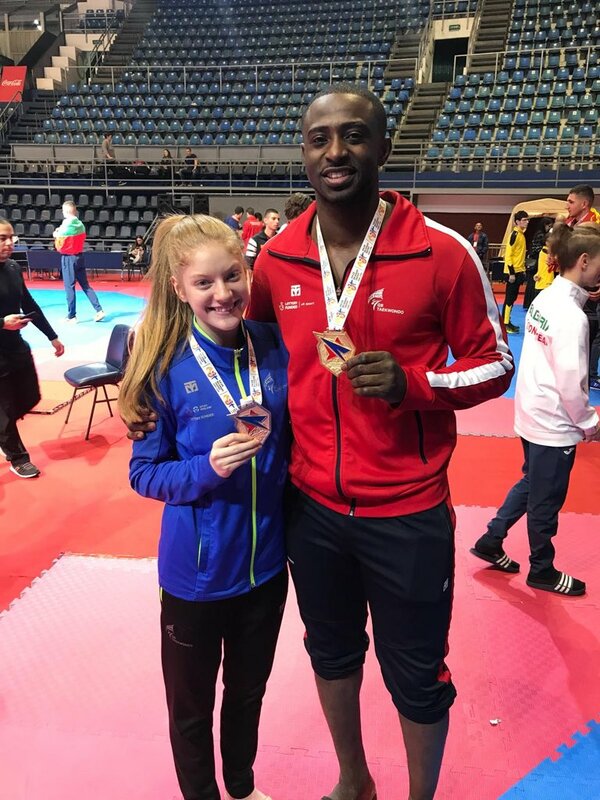 Norfolk fighter Jack Spall, who now has double Olympic medallist, Lutalo Muhammad, as a heavyweight training partner, stepped up to the plate at the Nationals. A 23-2 success over Daniel Walters (Walters Family School of Taekwondo) gave him gold. “It feels amazing,” said Spall. “It’s my first time fighting in the UK for two years and I have retained my title. Yorkshire’s Jacob Barnett defeated Ciaran McGovern (Team Warrior TKD) 24-4 on point gap in he -68kg final. Southampton’s Brandon Jewell is also National champion courtesy of a 17-11 win against Haraga Hamza (Dorset TKD) in the -87kg final. Maddison Moore, disappointed by her early exit from the World Grand Prix in Manchester bounced back in style with a 26-8 win over BTE’s Jade Cullen in the -49kg final.